Last time we looked at ponds in detail, this time we are going to look at water features. Water features tend to have a lot less water than ponds. This is because, usually, there is a reservoir underneath the feature which pumps the water into it and it recirculates. Because there’s less water on show, it means it easier to keep it clean and because there isn’t the plant and wildlife aspect with most water features, you can also clean them out each year and start again with fresh water. With ponds, you do need to take into account how much sunlight etc that they are getting, but not so with a water feature. This gives you considerably more options for where you place it. I like to think of a water feature as a focal point. So try to line up your water feature with either the view from the window you look out from the most, or perhaps at the end of the path, or sight line down the garden. Water features work well raised up in decks and patios – you can then sit on the edge for extra seating. You can also incorporate a water feature into your patio or deck. This can be a very pleasant addition, as you have not only the visual aspect, but you also have the sound of running water. Do be careful on the size of feature you have though, you don’t want the running water sound to be too overpowering or you will need frequent trips to the bathroom! If you do decide to add a water feature into a patio or deck area, consider having raised sides to it, so that it can double up as some where to sit. Water features also lend themselves to being lit up. By adding a few lights around the water feature and in it as well, you can create some absolutely stunning effects at night. What type of water feature should you have? There are so many different styles of water features you can choose, from drilled rocks, that have the water pumped up through the centre of them which trickles down the sides, to old-fashioned water pumps and pots overflowing with water etc. The limit really is down to your imagination, or what’s available in the garden centres if you’re going to buy one. Though do consider making something yourself. The main thing with water features, is to have the right size reservoir of water beneath it. The reservoirs are usually a really strong, large plastic container with a plastic lid with holes drilled in it, or a heavy duty galvanised metal mesh over the top. The feature then sits on top of the reservoir, which is hidden with cobbles etc. It’s usually a really sensible precaution to get a stopcock put in the reservoir, because on a windy day, or really hot weather, there’s a lot of water loss and you don’t want to burn the pump out if the water level gets too low. Also, some water features do splash water outside of the area of the reservoir. 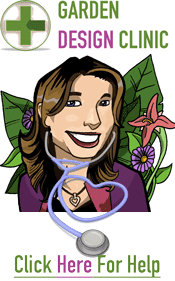 Hi Janine – that one was commissioned in Córdoba, Spain. It’s part of a modern park, on the outskirts of the old part of the city. I would guess that they had it made specially… think they might notice if it goes missing! Where about’s did you install yours? Awesome! water features are looking beautiful and stylish.Please more water feature share with us.Thanks..